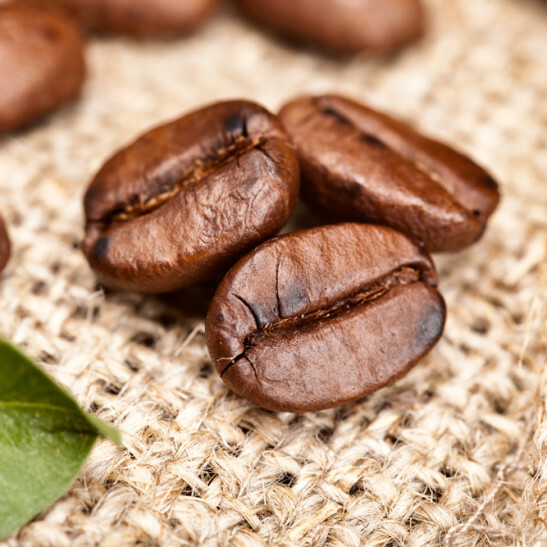 Growing your own coffee is not as difficult as you may thing – in fact it is easy. The Coffee Plant will grow outdoors in zone 10 or indoors in a pot and unlike many other unusual crops, this tree is happy in shade so it can be grown entirely indoors without even having a garden. 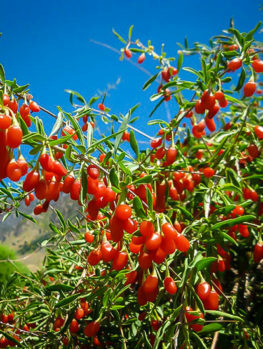 It grows in ordinary potting soil and needs no special care to bloom and fruit for you. The blooms give an added bonus of being deliciously fragrant and processing the beans is not difficult at all. The Coffee Plant is a great conversation piece in your home or garden and the thrill of drinking coffee you have produced yourself will be amazing. In fact, you don’t even need berries to benefit from your Coffee Plant, as the leaves can be made into a tasty tea that contains lots of antioxidants and other healthy compounds. There are few things in life as satisfying as a fresh-brewed cup of coffee. Imagine how you would feel if that cup was brewed with beans that you had grown for yourself. Impossible, you say. In reality, coffee is an easy crop to grow and since the plant is naturally shade-loving it will happily grow indoors for you even if you don’t have a garden at all. This has got to be the ultimate self-sufficiency experience possible. The Coffee Plant is easy to grow and in a couple of years it will be covered in amazingly fragrant white flowers that will develop into a red fruit containing the coffee beans. A tree should produce between one and ten pounds of beans. 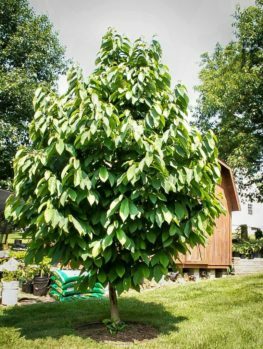 The tree will grow outdoors in zone 10, but can also be grown outdoors in summer and indoors in winter in cooler regions, or even completely indoors. It just needs a pot, some ordinary potting soil and a little fertilizer to give you your very own ‘house blend’ in just a couple of years. There are a few steps needed to process the beans but they are simple and fun to do. Coffea arabica is the source of about 80% of the world’s coffee. 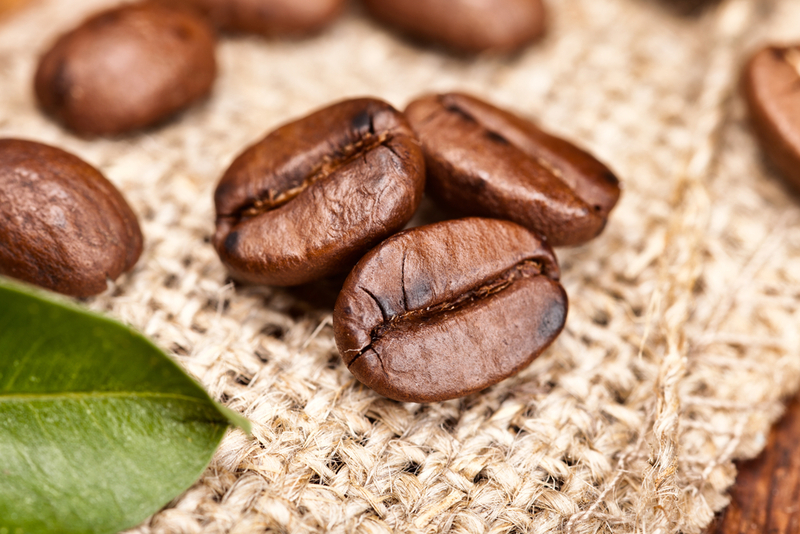 The Arabica Coffee Tree originated in the mountains of Ethiopia, where it was first cultivated over 1,000 years ago. In the wild plants grow 30 to 40 feet tall with an open crown. 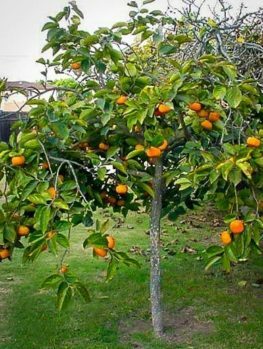 The tree naturally grows in the shade of other, taller trees, so it is a shade-tolerant tree that can be grown in shadier areas of your garden or indoors in a pot, since it can flower and fruit with little or no sunshine. 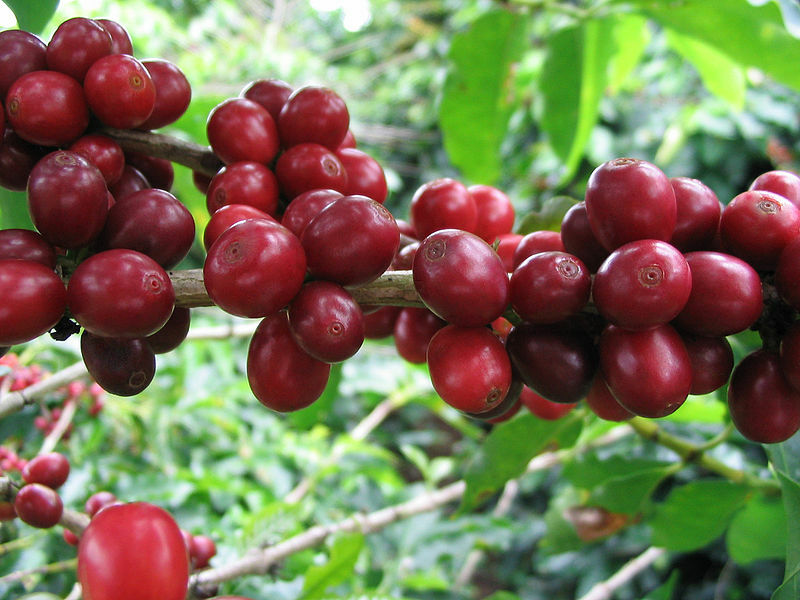 Even if you do not want to bother with the beans, a coffee tree is a great plant to grow. It has been found that an excellent tea can be made from the dried and lightly roasted leaves. It tastes like a Chinese green tea, not at all like coffee. 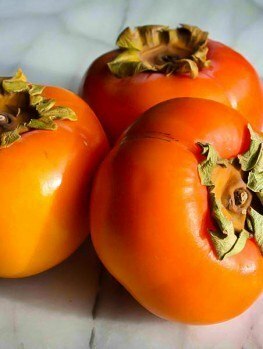 It contains less caffeine than the beans, but it is full of antioxidants and a powerful anti-inflammatory called mangiferin. These compounds make coffee tea a very healthy drink. The Coffee Plant cannot tolerate frost and grows best between 60 and 750F. So if you grow it in a pot it will thrive outdoors during the summer months even in colder parts of the country. When grown indoors it will do well in ordinary to slightly cool indoor temperatures. In hot areas you should plant your tree in a lightly-shaded part of your garden in ordinary soil. It should be kept well-watered all year round. If you have acid soil add a little lime to it, as the Coffee Plant does not like acid soil. To grow your Coffee Plant in a pot, choose a pot a couple of inches wider than the pot your plant came in. The pot must have a drain-hole, and as the tree grows it should be moved into a bigger pot when the current pot becomes full of roots. Use a regular houseplant potting soil and feed your plant every two weeks with half-strength liquid tomato food. Keep it above 600 and grow in where it receives filtered sunlight or direct morning sun only. Just let the soil become a little dry between watering. 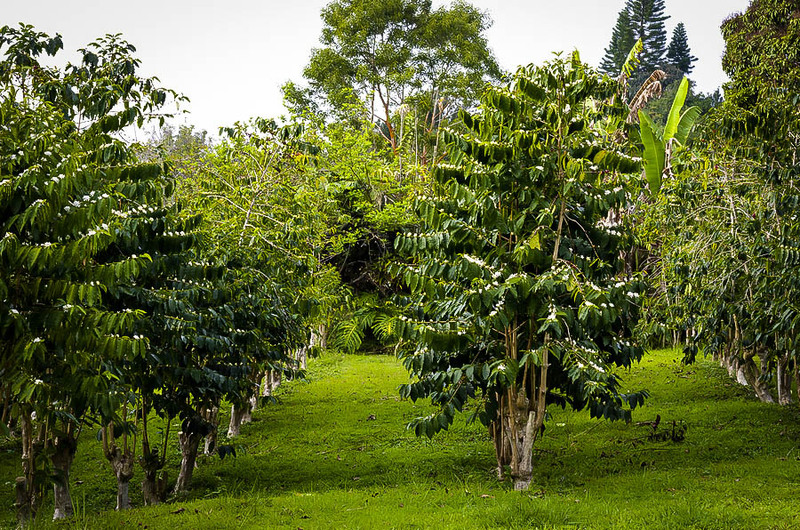 Compared to wild trees, plants that produce good-quality coffee only grow to around 15 feet tall and can be kept pruned to 6 feet tall and still crop well. This means you can grow your coffee tree in a limited amount of space or very successfully in a pot. 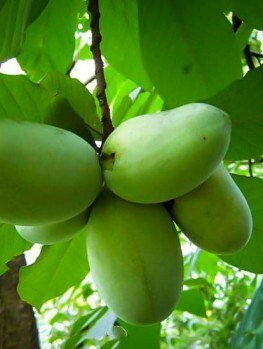 The tree has simple, glossy, oval leaves that are 4 or 5 inches long and 2 or 3 inches wide. In two or three years your coffee tree will produce beautiful white and very fragrant flowers all along its branches and these will soon turn into a fruit about ½ inch across. 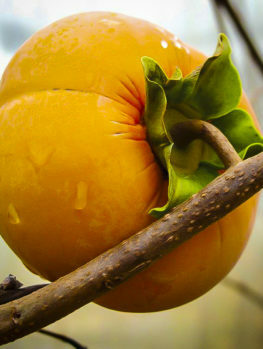 Flowering and fruiting may take place at any time, depending on temperature and light conditions. 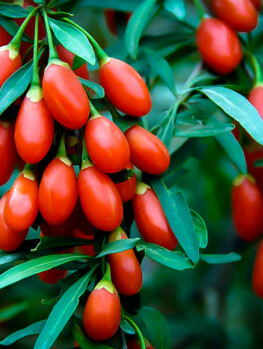 When this fruit turns a bright red color it is ready to harvest. Inside this ‘cherry’ fruit are two seeds, which are the coffee beans. The first step in preparing your own coffee is to remove the beans from the cherry. Do this by mashing the fruit in a bucket with a piece of wood so they burst. Then add water and stir around. The skins and flesh will float and the beans will sink. Pour off the water with the skins and repeat until the beans are clean. Any beans that float are not good and should be thrown away. Now leave the beans in the bucket, covered with water, in a warm place for 18 to 24 hours, by which time they will feel gritty, not slippery. Now wash them two or three times until the water is clean. Drain the beans and spread them out to dry. They can be dried in the sun or in a dehydrator set at 1040F. Stir them around three times a day. In the dehydrator they should be dry in a few days. Outdoor drying takes from 5 to 30 days depending on the weather. The beans are dry when they crack between your teeth and are not soft and chewy. At this stage they can be stored and should be stored for at least two weeks in any case, to allow the remaining moisture in them to balance out. Now put your beans into a food processor with rubber blades and process for 30 seconds to remove the dry outer husk. Tip them out and use a hairdryer to blow away the powdered husk. A thin silver skin may remain but this can be left on your beans. Roast the beans in a single layer in an oven heated to 4750 for about 12 minutes. They can also be roasted in a popcorn machine. The beans are ready when they are brown or black-brown, depending on how dark you like your roast. Now you just have to grind your beans and make coffee your favorite way. Enjoy that cup of home-grown coffee! The Coffee Plant must be grown from selected varieties of coffee trees and our trees are produced the correct way from stem-pieces of these top-quality trees. Avoid cheaper seedling trees which will be of inferior quality and will only be a disappointment to you. We sell only Coffee Plants of the best Arabica varieties. However, we are constantly renewing our stock as we insist that our customers get fresh, healthy plants. 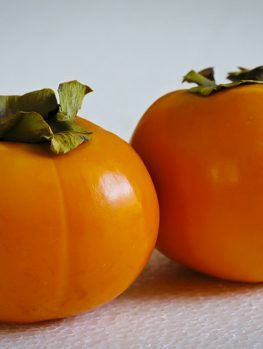 Supplies of these special and very desirable plants are limited, so to avoid disappointment don’t delay and order now.